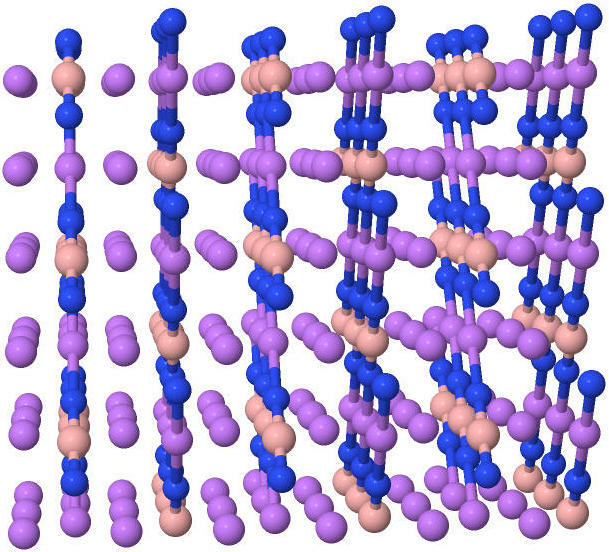 • K. Németh, A.M. Danby and B. Subramaniam: Synthesis of Oxygen and Boron Trihalogenide Functionalized Two-Dimensional Layered Materials in Pressurized Medium. International (PCT) patent application, PCT/US17/31579 (Filed May 8, 2017), priority date May 8, 2016 based on provisional application US 62/333,272 . Assignees: Boron Nitride Power LLC and The University of Kansas. Species in Electrochemical Energy Storage Devices, International patent application PCT/US14/45402 filed on July 3, 2014, claiming the benefit of US provisional patent applications US 61/844,444 (filed July 10, 2013), US 61/905,304 (filed Nov 18, 2013), US 61/911,415 (filed Dec 3, 2013), and US 61/982,363 (filed Apr 22, 2014). National phase applications filed in the US, Europe, Canada, Australia, India, Israel and Brazil. Former assignee: K. Németh of Nemeth's Materials Design LLC, current assignee: Boron Nitride Power LLC. • K. Németh, M. van Veenendaal and G. Srajer: Electrochemical Energy Storage Device Based on Carbon Dioxide as Electroactive Species, US8389178, filed on Sept. 10, 2010, USPTO-allowed on Dec. 12, 2012, issued on March 5, 2013. Owned by the U.S. Dept. of Energy. Also see CO2/oxalate Cathodes as Safe and Efficient Alternatives in High Energy Density Metal-Air Type Rechargeable Batteries. • J. Zsolt Terdik, L. Spentzouris, J. H. Terry, Jr., K. C. Harkay, K. Németh and G. Srajer: Low-Workfunction Photocathodes Based On Acetylide Compounds. U.S. 8729799 B1, filed on Nov 29, 2012, granted on May 20, 2014. Assignee: U.S. Dept. of Energy. Ternary Alkali Metal and Transition Metal or Metalloid Acetylides as Alkali Metal Intercalation Electrodes for Batteries. U.S. 8951671 B1, filed on Nov. 29, 2012, granted on Febr. 10, 2015. Assignee: U.S. Dept. of Energy. •S. Emani, C. Liu, M. Ashuri, K. Sahni, J. Wu, W. Yang, K. Németh*, L. L. Shaw*: Li3BN2 as a Transition metal Free, High Capacity cathode for Li-ion Batteries, ChemElectroChem, 6 (2), 320-325 (2018). • K. Németh: Simultaneous Oxygen and Boron Trifluoride Functionalization of Hexagonal Boron Nitride: A Designer Cathode Material for Energy Storage, Theoretical Chemistry Accounts (2018) 137-157. Journal of Chemical Physics, 141 (5), 054711 (2014) DOI: 10.1063/1.4891868 (arxiv version). • K. Németh: Materials Design by Quantum-Chemical and Other Theoretical/Computational Means: Applications to Energy Storage and Photoemissive Materials, International Journal of Quantum Chemistry, 114 (16) 1031 (2014), DOI: 10.1002/qua.24616 (arxiv version). 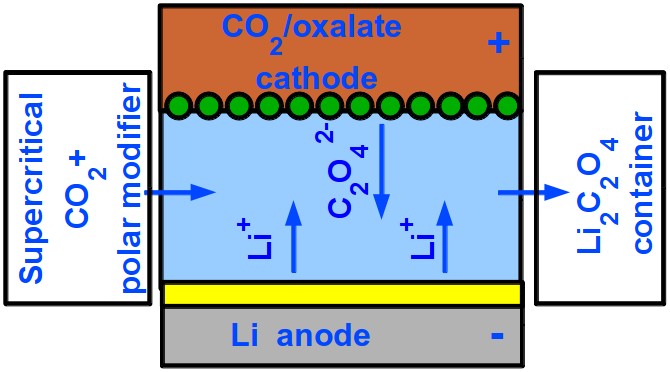 • K. Németh, G. Srajer: CO2/oxalate Cathodes as Safe and Efficient Alternatives in High Energy Density Metal-Air Type Rechargeable Batteries, RSC Adv., 2014,4, 1879-1885 (arxiv version). • J. Z. Terdik, K. Németh, K.C. Harkay, J.H. Terry, Jr., L. Spentzouris, D. Velazquez, R. Rosenberg and G. Srajer : Anomalous work function anisotropy in ternary acetylides, Phys. Rev. B 86, 035142 (2012) . • K. Németh, K. C. Harkay, M. van Veenendaal, L. Spentzouris, M. White, K. Attenkofer and G. Srajer: High-Brightness Photocathodes through Ultrathin Surface Layers on Metals, Physical Review Letters, 104, 046801 (2010). Related experimental work: T. C. Droubay, S. A. Chambers, A. G. Joly, W. P. Hess, K. Németh, K. C. Harkay, and L. Spentzouris: Metal-Insulator Photocathode Heterojunction for Directed Electron Emission, Physical Review Letters 112, 067601 (2014).